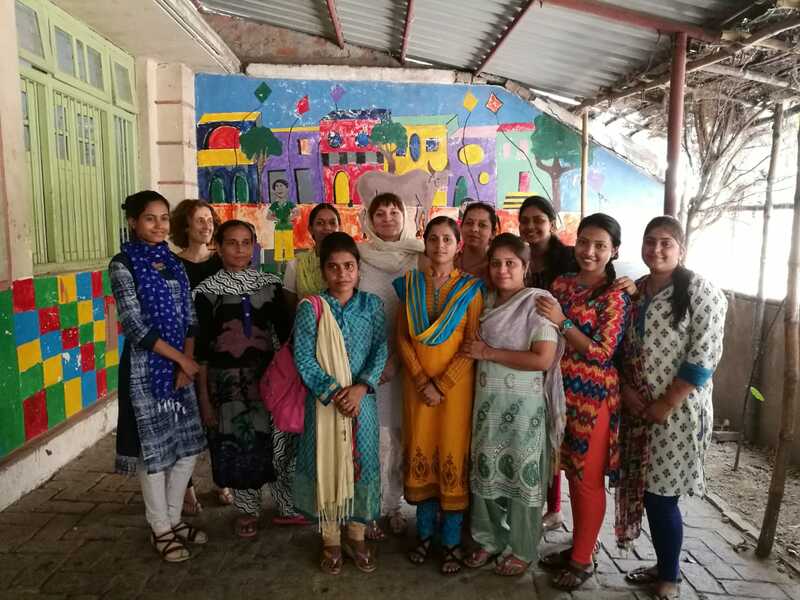 The certified non-profit society Learn for Life, Germany and its Austrian counterpart (regularly awarded the Austrian Seal of Approval) support the Parivartan Trust in India, who runs the Badi Asha (Big Hope) school and women's empowerment project in Varanasi. At the moment, 140 children come to the Kindergarten and school, learn to read and write in Hindi and English, Maths, and acquire basic skills in health care (basic hygiene, nutrition, Biology...), Geography, Economics and History. In the afternoon, we offer classes in dancing, music, sewing, and computer skills, or they can use the library, play indoor and outdoor games in the park or get help with their homework. In order to "buy" them the time to come to school, we provide them with a small breakfast and a nutritious lunch, which is prepared by women of the women empowerment project - very often mothers of the school children who get a fair wage for their work. We use mostly local and organically grown ingredients and make this (as well as the solar plant on the roof top) an example for dealing with our planet in a sustainable way. We also provide uniforms, shoes and winter clothing, textbooks, school supplies and art supplies, health care, secondary school tuition and coaching for our alumni, and vocational training for alumni and ex-students. In a city and a country, where caste and religious affiliation are still too often the starting points of violence, we are happy and proud to be able to provide teachers and children from all castes and religions (in our school, primarily Hindus and Muslims) a place for joint learning and working. Everybody employed by the project (teachers, administrators, cooks, cleaners...) come from the region of Varanasi, are insured socially and in case of illness, and have the opportunity to have their further education financed by the trust.